ANGRY Plympton residents prevented a bus from leaving its stop in protest at the withdrawal of their local service. 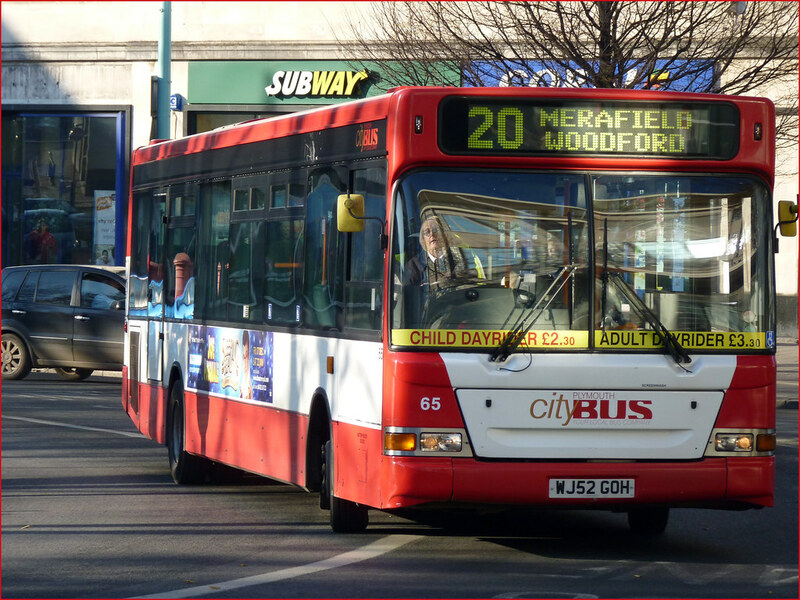 From this week Citybus has ended its number 20 service to Underwood and Merafield Road in Plympton. Local Conservative councillors John Lock and Terri Beer joined residents in their protest last Thursday, days before the service finally ended on April 3. “We have been negotiating with all concerned to arrive at a solution to this desperate situation,” Mrs Beer said. Mr Lock said the council’s transport department was holding a meeting tomorrow at which the number 20 service would be discussed and a decision made on any possible subsidy for Citybus. Peter Oliver, the Citybus operations manager, defended the ending of the service. He said there had been very low passenger numbers, although these had picked up slightly since last June. And there had been high numbers of accidents because of the way people park in Merafield. “Many times our drivers couldn’t get into the road because of parked vehicles,” he said. Recent concessionary fares cuts and high fuel prices had also affected the viability of the route. Meanwhile, Labour councillors will present a special motion to next Monday’s meeting of the full city council, calling on the council to work with bus operators to restore services which have been withdrawn across the city. I do wonder how long everything will be blamed on the council selling Citybus? I guess most people either dont realise, or more likely dont care that cuts to bus services are happening all across the country at the moment. On a more positive note the first of the ex London double deckers have now arrived at Milehouse. More details to follow! A similar protest in Wellingborough will be headlined at www.public transportexperience.blogspot.com tomorrow (Saturday 9th May). Is this the latest craze? The weather may be good but should you fancy a day out on Wembury beach this Sunday or indeed any other Sunday I understand that from now on there is no longer a 48or indeed any other bus service to Wembury on a Sunday.